The results are three legendary clock-classics that originally ornamented Danish buildings. 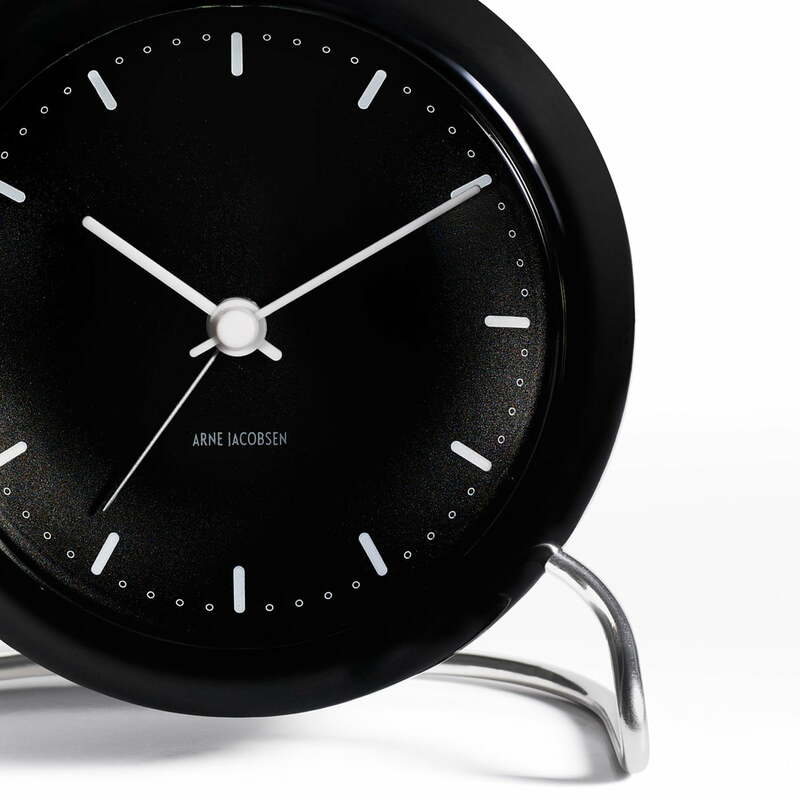 The re-production by Rosendahl was not only limited to the three wall clocks – moreover the according motives were also created as alarm clocks at the same time. Arne Jacobsen already designed a villa for H. J. Hansen, the director of Lauritz Knudsen in the middle of the 1930s. 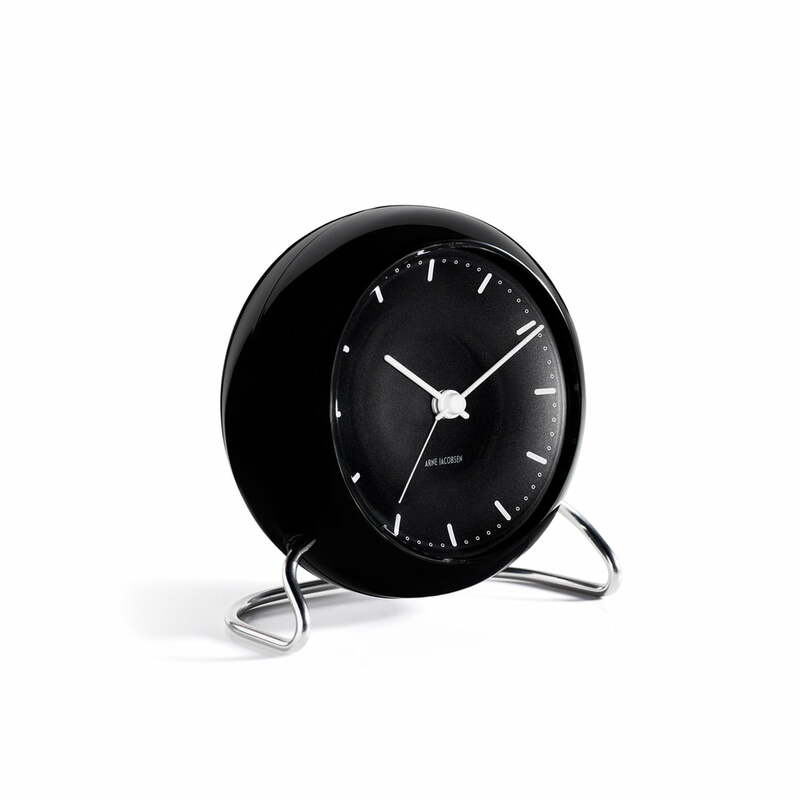 Hansen recognized the potential of the young architect and asked him, if he was interested in the design of a clock. The result was “electric table clocks with and without alarm function”, which were presented on the spring furniture fair Charlottenborg 1939 for the first time. Arne Jacobsen designs many buildings in the 1950s and 1960s for the Copenhagen suburb Rødovre. The town hall of 1956 shows how much Jacobsen was inspired by international styles in that time, ant it is one of his most consequently planned buildings. He designs all details himself, among them also the town hall clock, and he furnishes the whole building with an own furniture series. The iconic dial of the City Hall alarm clock emerged according to the example of this clock. 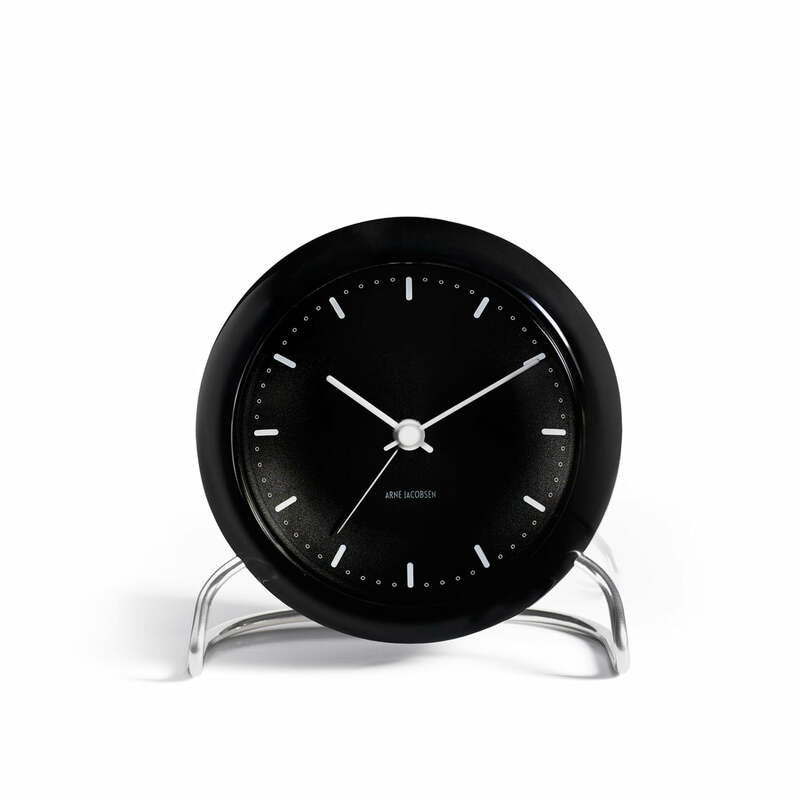 The housing of the table clock consists of ABS synthetics and shock-resistant glass. The base is made out of metal. The alarm clock is moreover equipped with LED illumination and a Snooze function.